SHOWINGS START SEPTEMBER 11th AFTER 5:00 P.M. OPEN HOUSE SUNDAY SEPTEMBER 13th 1:00-3:00 pm, OFFERS MONDAY SEPTEMBER 14th. 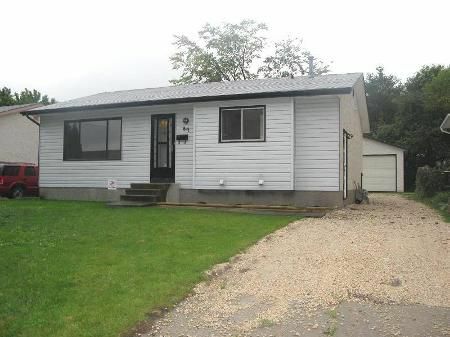 Totally Renovated 4 bedroom bungalow. Main level living room with hardwood floors, huge eat-in kitchen with ceramic tiles, 3 spacious bedrooms and full bath. Full finished basement, recroom with 4th bedroom, 3 pc bathroom and laundry area. Nicely landscaped and fenced yard. There is a double detached garage with single door and front drive access. Lots of upgrades done (new flooring, new furnace, new kitchen counter tops, freshly painted throughout, etc...). Close to all amenities.